Left Coast Cellars is back on the blog! It was just this past March that I reviewed their 2014 Cali's Cuvee Pinot Noir and their 2015 The Orchard Pinot Gris. Well, a new vintage of that Pinot Gris is out so a few days ago I reviewed their 2016 The Orchard Pinot Gris, and today I'm reviewing their their 2016 White Pinot Noir! By not allowing skin contact and treating Pinot Noir like a white grape, you can make some very cool white wine. Hell, it's one of the grapes used in Champagne and other sparkling wines. Non-sparkling White Pinot Noir's are also freakin' awesome! Willamette Valley is freakin' awesome! I'm really looking forward to this one. Marilyn Manson's new album Heaven Upside Down just came out so I'm listening to it as my music selection. 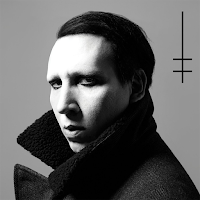 I love this guy, I love his music, and I love this new album. I was so excited for this that I actually went out and bought the CD. A physical CD! When was the last time I did that? I've been buying digital singles for so long that I can't even remember! Anyways, this album is great and I recommend the hell out of it. Now that I've got my eardrums vibrating from pure musical genius that only heathens and infidels like myself seem to understand (what's a nice place like this doing 'round people like us? ), let's focus on some delicious Willamette wine! The color of the wine is a light copper. There's aromas of peaches, pear apple sauce, lime peel and dried oregano. It's medium to full bodied in the mouth with a slight touch of sweetness that's balanced out by perky acidity. There's flavors of tart juicy lemons, peaches, and oranges. It finishes with oranges on the center of the tongue and tart lemon on the sides of your mouth making your body salivate to provide protection against the acidity. This is what I would call, in the most distinguished terms available to my vocabulary, "nommy nommy". 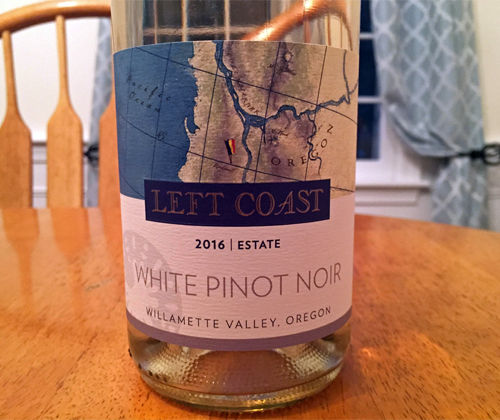 White Pinot Noir has failed to disappoint me yet, and this offering by Left Coast Cellars is just another example of how fantastic they are. For $24 I'm going to pin it down at a 4.5 out of 5 in price vs quality, between Recommended and Highly Recommended. 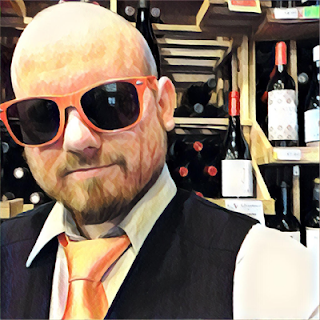 I’ve usually no clue about the wines, but I believe there are different types of brands in it as well and one of them is reviewed over here.